Bring the confusion to full capacity for your opponent with the Track Paradox Trilogy! 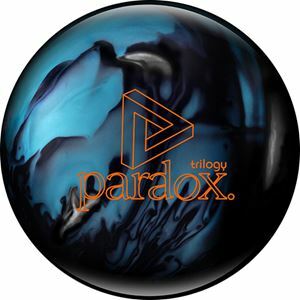 Featuring the i-Core 2.0 Dual Density Asymmetric core, the Paradox Trilogy gives length with an angular backend on the lanes that looks downright unreal. Wrapped in the QR-10 Hybrid coverstock, finished to a 1000-grit polished shine, the Trilogy gives great length through the heads with a snap on the end that responds well to medium-heavy oil conditions.